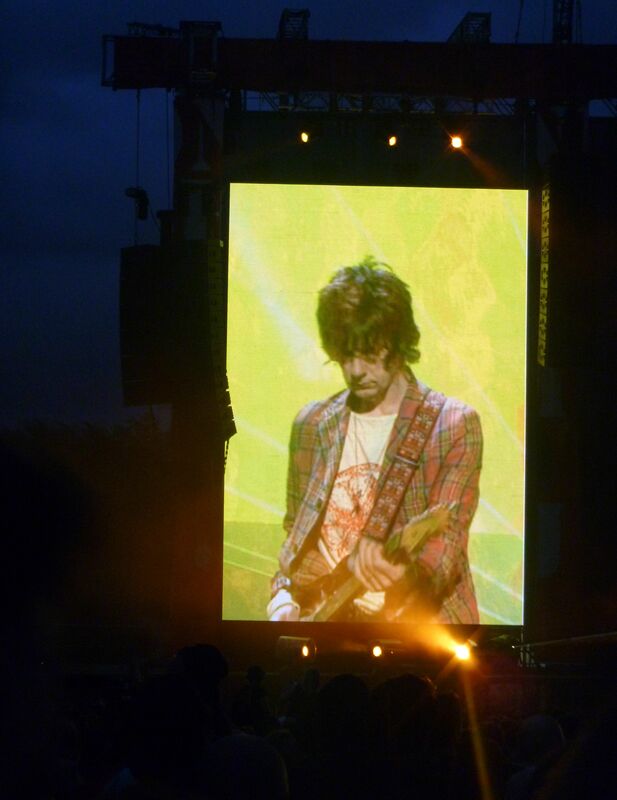 Forget the Jubilee concert, the upcoming Olympic gigs, or the announcement of a Spice Girls musical; the Stone Roses delivered the most exciting and important musical event of 2012 at Manchester’s Heaton Park on Friday. 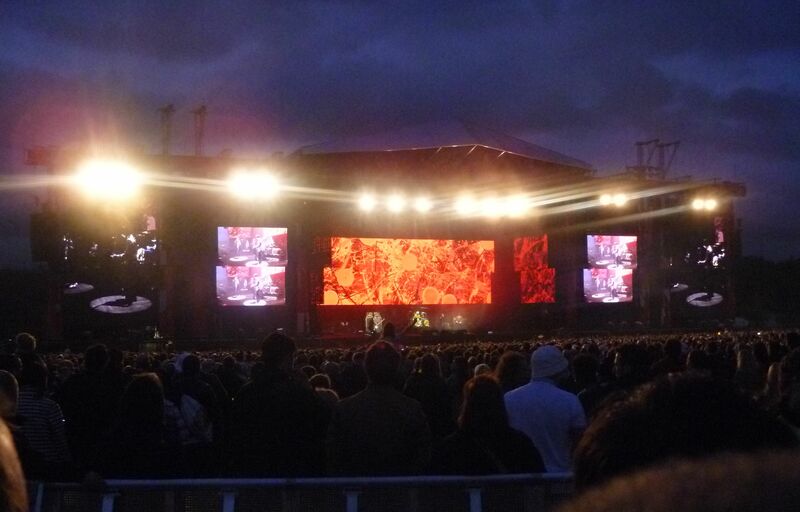 The Roses’ first major British performance in 16 years (they played a short free concert in Ian Brown’s hometown of Warrington in May), the Heaton Park gigs had been billed as the focal point of the reunion. 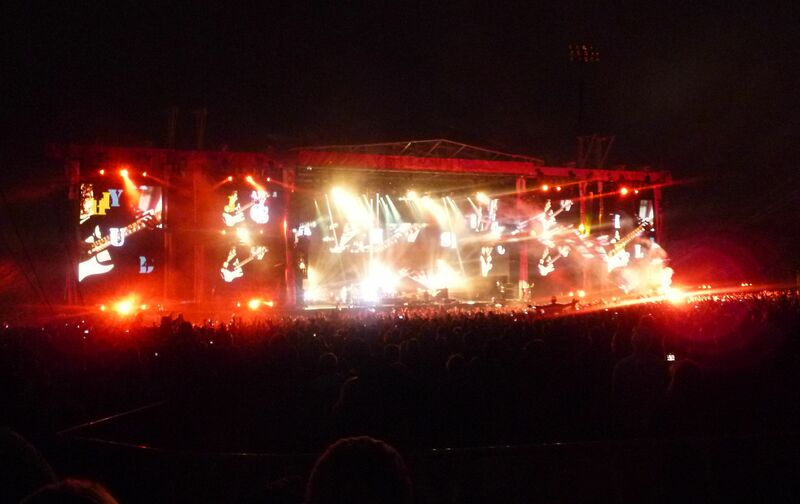 On 29th June they played the first of three dates in front of 75,000 people per night. The tickets were snapped up like gold dust last October, making these the fastest selling rock concerts in British history. The event was essentially a festival with the Roses headlining every night and cherry-picking their support acts. Following the Wailers’ feel-good set of Bob Marley classics, and a rousing performance from Primal Scream, the Roses duly sauntered onstage to the rumbling bassline of traditional opener “I Wanna Be Adored”. They were in scintillating form, having rehearsed for months before embarking on a brief warm-up jaunt across Europe to iron out any creases in their sound. The Roses may have been an inconsistent live act in the past, but the return of Reni – whose funky drumming was sorely missed during their last tour in 1995-96 – has been crucial to the success of the reunion. Ian Brown’s voice has been the subject of much criticism, but he sounded better on Friday than he has in years, with any off-tune moments barely noticeable thanks to the efforts of the entire crowd on backing vocals. The Roses performed their classic debut album in its entirety, having even relearned to play every note in “Waterfall” backwards in order to recreate its trippy twin brother “Don’t Stop”. After running through a few early b-sides, plus the anthemic “Ten Storey Love Song”, the band moved up a gear with an epic rendition of “Fools Gold” midway through the set. Reworked and over 10 minutes long, it became a showcase for John Squire’s guitar heroics, with snippets from the Beatles’ “Daytripper” and the Roses’ own “Driving South” popping up alongside the catchy main riff. Next up was “Something’s Burning”, an overlooked b-side from 1990, when the band was at its peak. A dark, jazzy, drawn-out number in a similar vein to “Fools Gold”, it is as good as anything the Roses ever put down on record. Live, it suffered slightly from Squire’s decision to give it the blues treatment, in lieu of its original, funkier sounding wah-wah licks. The second half of the set was sensational, with the crowd belting back every word of every song, hit after hit. Highlights included a euphoric “This is the One” and the Led Zeppelin-esque “Love Spreads”, complete with Ian Brown rapping a segment of Eric B. & Rakim’s “Paid in Full”. Brown also injected a bit of punk attitude into the proceedings, dedicating anti-royalist anthem “Elizabeth My Dear” to “those parasites 200 miles down the road celebrating 60 years of tyranny” – a reference to last month’s sycophantic Jubilee celebrations. 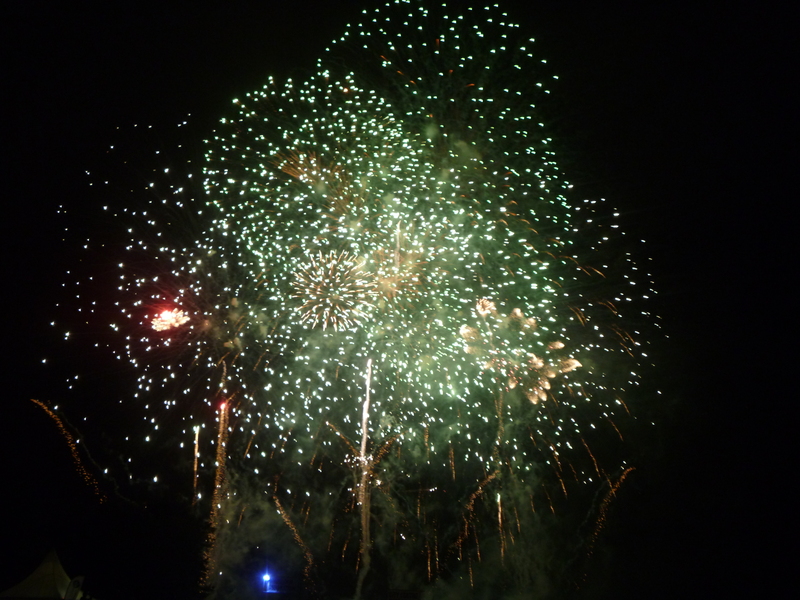 Next up was the closer “I am the Resurrection”, with a stunning instrumental outro even longer than on record, before a barrage of fireworks brought this celebratory occasion to an end. But Heaton Park was not the end of the reunion, nor was it a complete nostalgia fest; it was a welcome back party. With a world tour and a new album on its way, the Stone Roses are back to reclaim their crown as the greatest band in Britain.